Abstract: Data science helps corporations reducing inefficiencies in the deployment of products. But the machine learning and data engineering workflows involved are themselves prone to repetitive and manual processes, such as feature design/discovery, experimental setup or engine optimization. In this talk, we will describe real examples of in-house developments to tackle automation of our machine learning workflows within some of our projects. These tools help accelerating the exploration stage, reduce time-to-validation and facilitate subsequent engineering needs. We will also discuss how these tools relate to generic ones such as Bayesian optimization and autoML, and describe how we faced some buy-vs-make situations in this context. 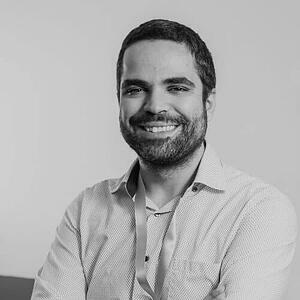 Bio: Jose is a Senior Data Scientist at BBVA Data & Analytics since 2015, now leading the Edge (data science innovation) team. Before this position, he was Lead Data Scientist of the Advisory & Predictive Models team. The team put into production several machine learning models to improve the user experience of the BBVA app. Prior to BBVA, he was Area Manager for Machine Learning at Xerox Research and has 10 years of experience in industrial innovation with machine learning solutions, in application areas such as banking, document workflow automation, or traffic sensing. With a PhD in Computer Vision, he has co-authored top-tier publications and over 20 patents. Fascinated by solving real-world problems with state-of-the-art AI and making machine learning easy to use by non-experts.